At Elite Mediation Services, our full range of mediation services offer many benefits to each of the parties in a civil dispute, family disagreement, divorce, or even neighbor to neighbor conflicts, whether or not they are represented by counsel. Mediation provides an especially effective way to resolve disputes between principals in a small business. It may even offer a forum for people who have been working together in a business to finally put in writing their understandings and expectations. 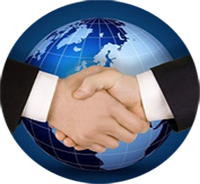 Mediation can help business people solve problems without filing a lawsuit. Even in small matters, it can offer a quicker and more reasonable alternative to small claims court. Mediation is an efficient way to resolve business disputes privately in a neutral, off-site setting. Although divorce or separation is a traumatic event, it can be achieved with dignity and ultimately result in hopeful beginnings for all persons involved. An adversarial setting for divorce is very often not in the best interests of the couples involved or the children. Mediation can offer a fairer, more civilized, and more cost-effective alternative. In divorce, mediation is family oriented - When couples can agree, the children are winners. Children learn by example and when they see parents trying to work together, it lets them know that even in the midst of divorce, there is hope. By selecting mediation in domestic actions, individuals can end their marriage in a cooperative, forward-thinking way which minimizes the anger often associated with divorce, and reduces the strain on children. When the parties are seen to be comfortable with the Settlement Agreement, the children are better able to adjust to the divorce. Disputes between employees in the workplace are disruptive and may even jeopardize a business' public image. Mediation allows you to avoid these costs, and reduce costs associated with litigation. Mediation can often produce solutions in a matter of a few hours. Taking the problem to an off-site, independent mediator can lay the foundation for solutions that are lasting and equitable.